Imagine, You want to translate an Aramaic text book, paragraph or sentence or just a simple word into English or an English book, paragraph or sentence into Aramaic... This amazing program is your FIRST CHOICE. It will save thousands of man-hours, and also give you the ability to express yourself better by taking advantage of the on-line language tools built right into the program. HOW IT WORKS... Simply copy any text from the internet, Dagesh Davkawriter, Microsoft Word... it works with most premium wordprocessors and it even works with PDFs... Then Paste it into this program... The program will instantly translate the document from Aramaic to English or English to Aramaic. The program can handle all types of documents and manuscripts. 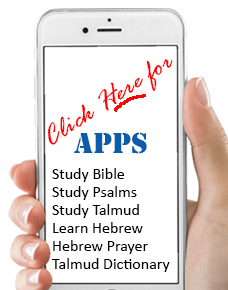 Is an ideal tool for studying Onkelos or Talmud. Just let the students type anything in English and it will translate to Aramaic. The software was tested on Onkelos Text and it does an amazing job... Easy to install and use, this program will be one of your favorites! Imagine, You want to translate an Aramaic text book, paragraph or sentence or just a simple word into English or an English book, paragraph or sentence into Aramaic... This amazing program is your FIRST CHOICE. It will save thousands of man-hours, and also give you the ability to express yourself better by taking advantage of the on-line language tools built right into the program. HOW IT WORKS... Simply copy any text from the internet, Dagesh Davkawriter, Microsoft Word... it works with most premium wordprocessors and it even works with PDFs... Then Paste it into this program... The program will instantly translate the document from Aramaic to English or English to Aramaic. The program can handle all types of documents and manuscripts. Easy to install and use, this program will be one of your favorites!